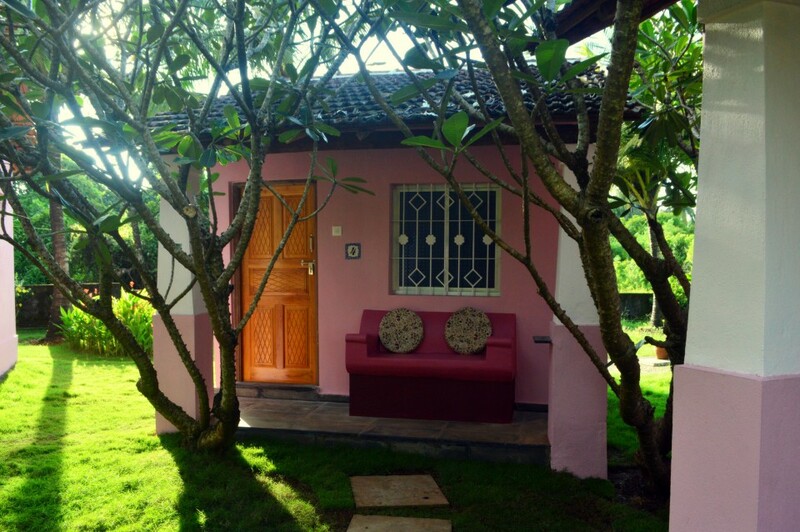 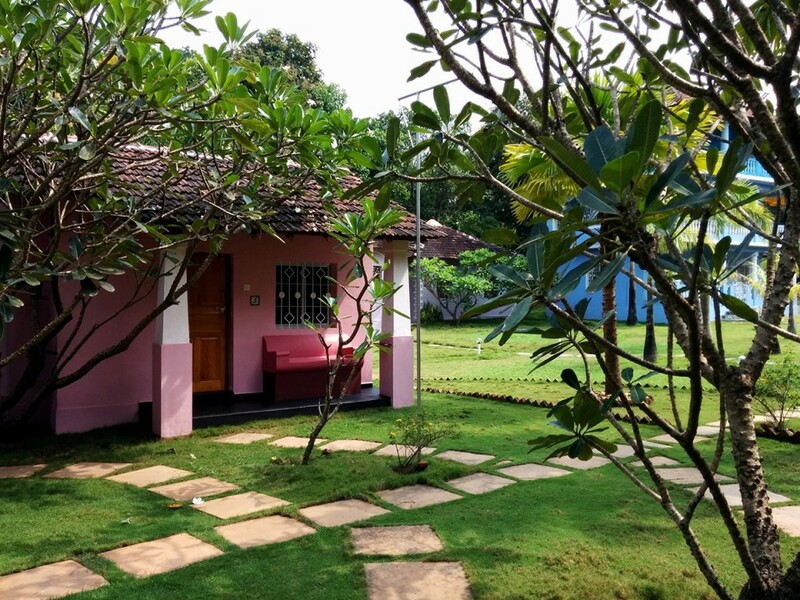 Rebuilt in 2017 in Indo-Portuguese style, our five stone bungalows are set in a semi-circle around a lush tropical garden. 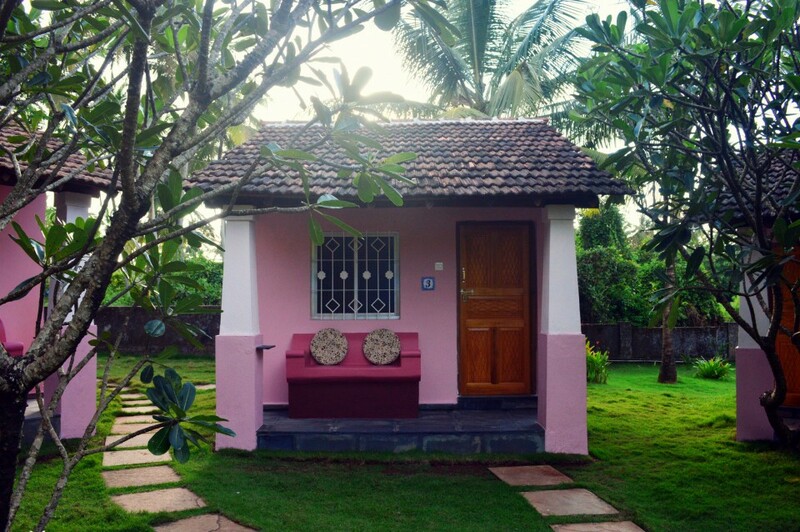 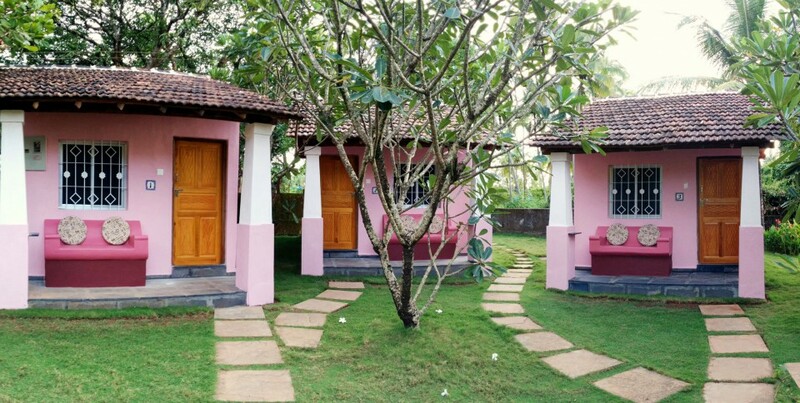 Each has a shaded verandah that is bordered by ornamental columns and features a sopo, a traditional built-in seat from which to chat with neighbors or enjoy the evening breeze. 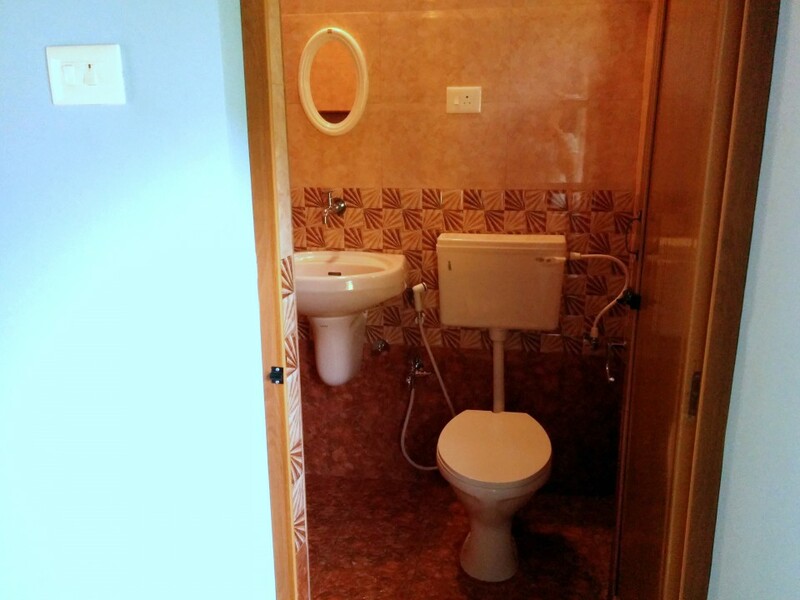 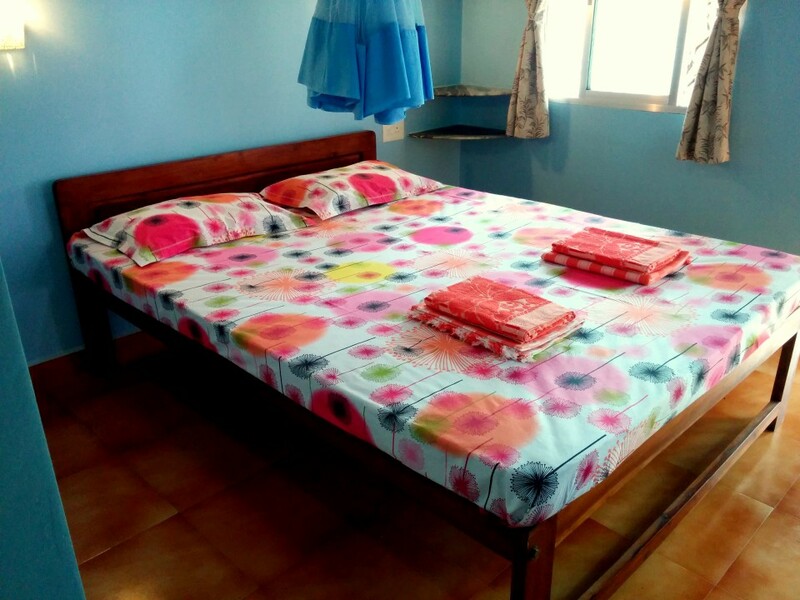 Sturdy and secure, each bungalow sleeps two adults in a large double bed and has a private en-suite bathroom with hot-water shower. 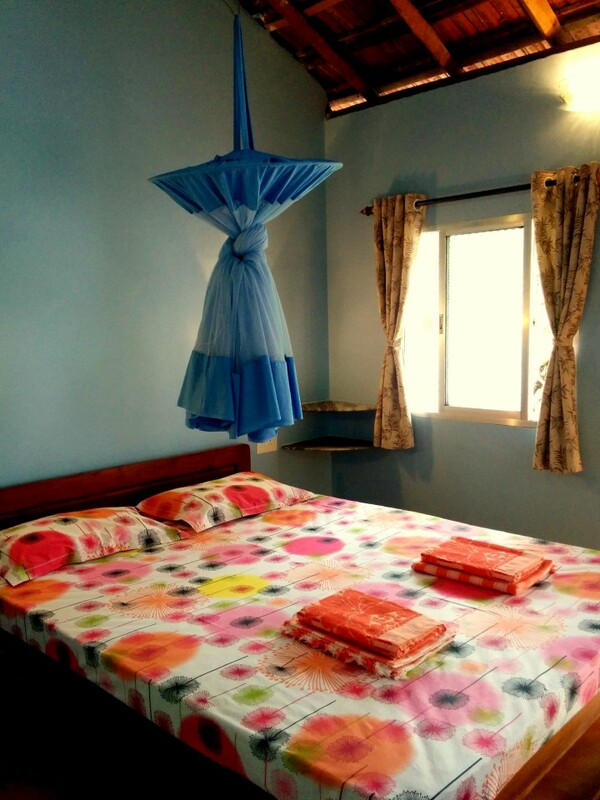 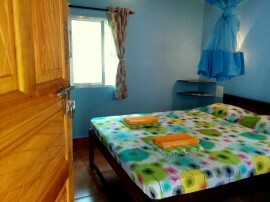 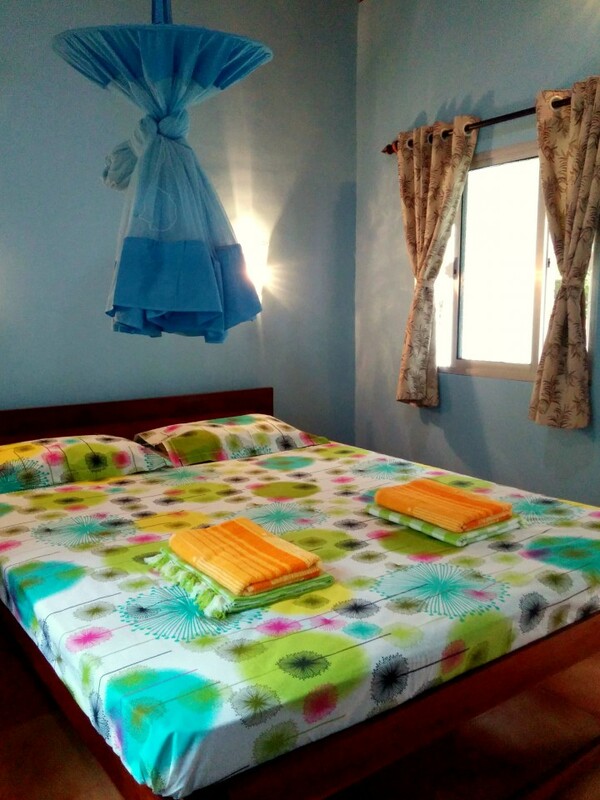 The bungalows are also equipped with an adjustable ceiling fan, a mosquito net and a kettle. 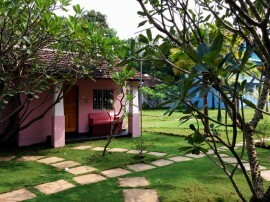 Here you can really connect with nature. 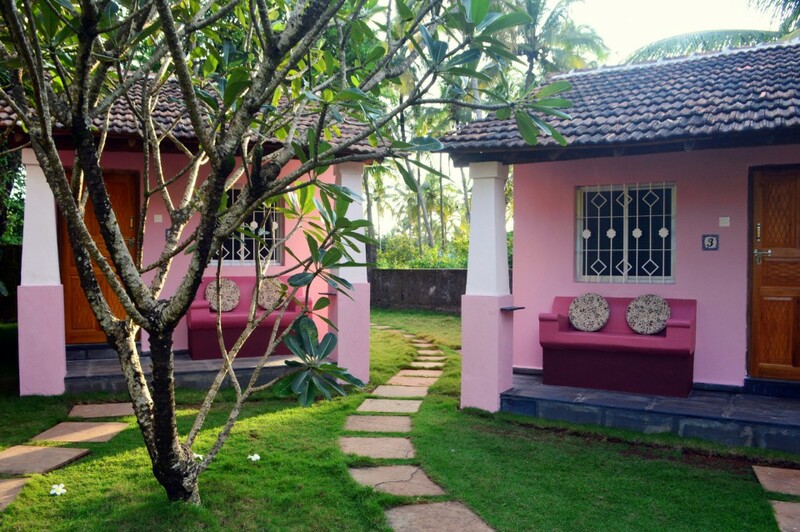 Close your eyes and savor the scent of flowers wafting into your bedroom as frogs, birds and other creatures of the Indian night chirp and call. 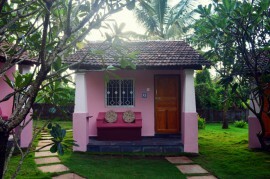 The rates above are per bungalow per night and are subject to government taxes. 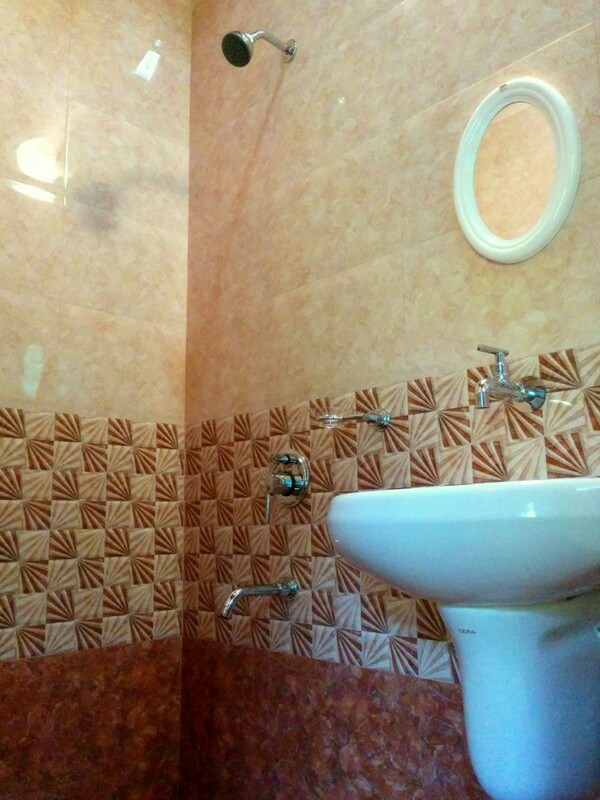 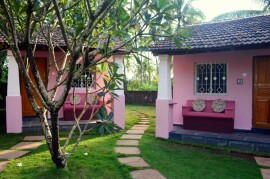 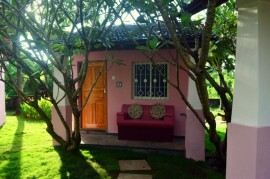 For single occupancy in the bungalows we offer a 10% discount. We are not equipped with extra beds or cots.